Home ▸ Blog ▸ Drupalcon London 2011. Watch right! Drupalcon is an international event that brings together those who use, develop, design and support the Drupal platform. Drupalcon London 2011 will host dozens of sessions and panels from some of the most influential people and brightest minds within the Drupal community and beyond. The conference was always the opportunity for networking, informal coversations and contributions to Drupal. Drupalcon (Drupal Conference) takes place twice a year. It is already a widely accepted that the spring edition is taking place in the United States and the one in the late summer, on the Old Europe continent. I have not missed any of the last edition of the European Drupalcon: Szeged, Paris, Copenhagen. 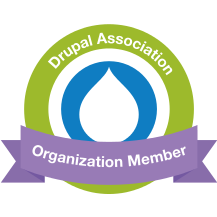 I'll be in London as president and founder of the Drupal Romania Association and as managing partner and developer in Webikon.